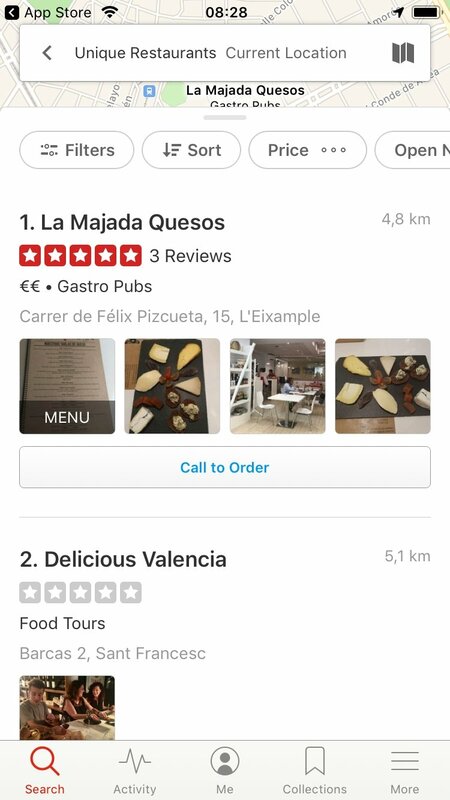 Nowadays, when it comes to searching for a restaurant, we usually trust the ratings and opinions of users on different recommendation apps. 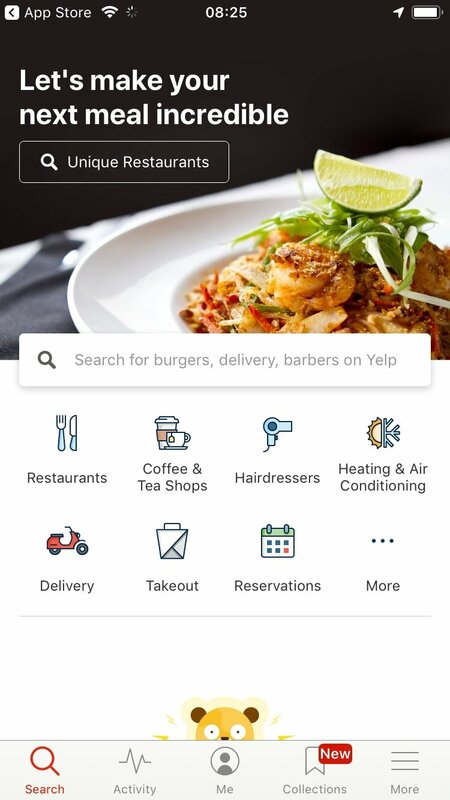 You've probably already heard about Yelp because it has been around for quite a few years offering us this kind of recommendation service on both Android and iPhone. 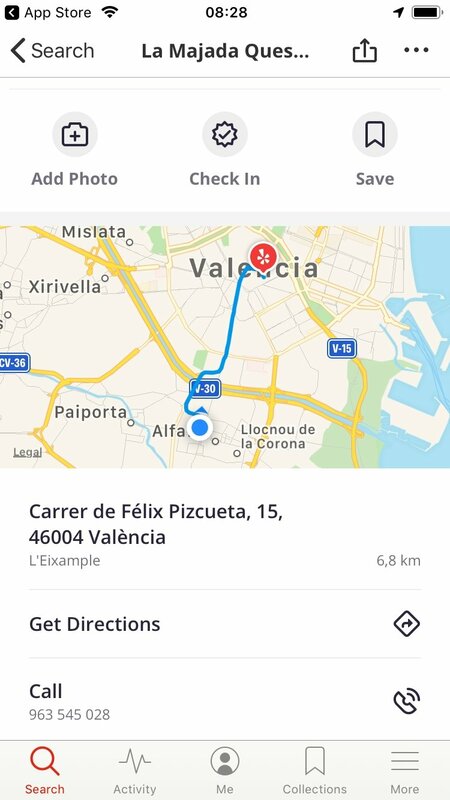 With the help of our GPS, this application which is one of the most popular in the entire world when it comes to searching for restaurants and bars, allows us to find where to eat or drink whatever we're interested in, at a nearby location. It doesn't matter where we are or the country we're visiting: there are hundreds of thousands of restaurants included in its database. 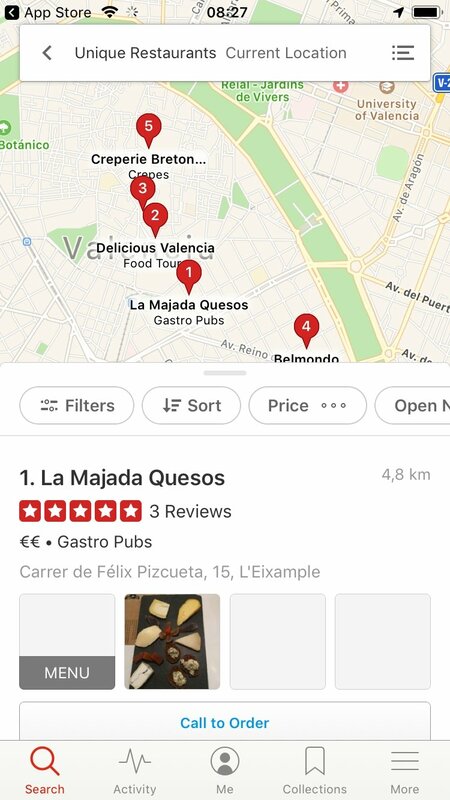 There are two ways to use the app: receiving suggestions based on our GPS position as we'll be shown nearby restaurants, bars, and other places to eat and drink, or making use of the search engine where we can apply different filters to fine-tune the search. From there on, we'll be able to check different information to make our minds up, such as images, data about the establishments, opinions from other users, ratings. Once you've made your decision, you can book a table straight from the app. Not too familiar with the city you're visiting? Let Yelp advise you. Search manually being able to apply advanced filters or receive suggestions based on your location, and check the address of each place on a map. Check the opinions of other users and the photos they've uploaded. 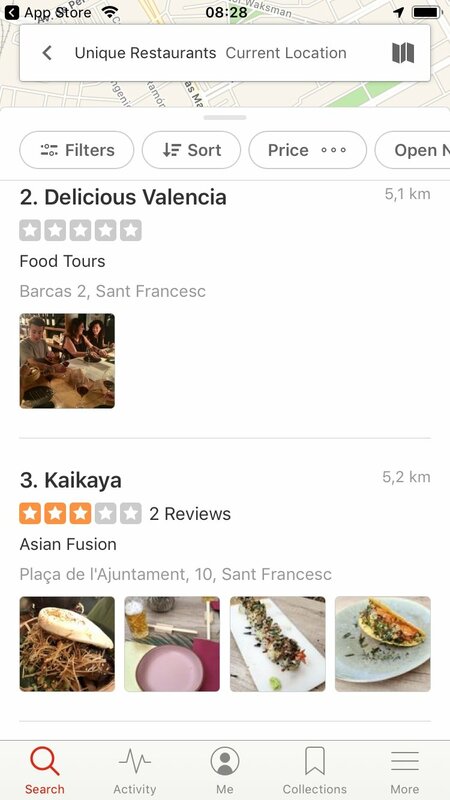 As we mentioned before, this one of the most popular tools to find where to eat together with Tripadvisor. It's perfect to find new places around town or if you're traveling to an unknown destination.